Sport Mazda is the best choice for your next new or pre-owned vehicle. From the moment you step into our showroom, you will recognize that Sport Mazda stands out among other Mazda dealerships across Florida. Beginning with your first interaction with one of our Mazda Experts, each member of our team strives to make your visit with us about more than simply buying a car. Our goal is to make you feel like part of our family. You will find yourself being treated with dignity and respect, rather than another deal looking to be closed. It’s part of the reason that helps make Sport Mazda a hassle-free, no pressure dealership. We believe that purchasing a new car is about more than just the price you pay. Any dealership can offer lower prices, but we know that one visit to Sport Mazda will reveal that our “customer service first” approach is extremely different than the core values of the competition. 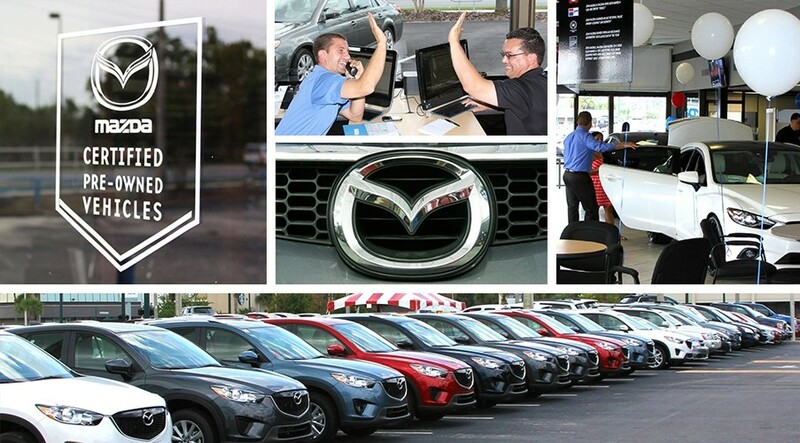 With over 5,000 positive testimonials across the internet, we humbly acknowledge the responsibility that comes with being one of the top rated Mazda dealerships in the country. Our Mazda Experts are here to make sure you find the right vehicle to fit your needs and ensure your shopping experience is pleasant and simple. If you are not sure what you are looking for, we will help narrow down your search by asking questions to help determine what potential vehicles will be a good fit. Once a vehicle is found, your Mazda Expert will prepare it for an immediate test drive that you have the choice of going on your own or with your Mazda Expert. If you need some extra time to determine if the vehicle is a right fit for your lifestyle, we can let you take it home overnight for an extended test drive. The peace of mind and ultimate convenience you experience at Sport Mazda is complimented by our large selection of new Mazdas and quality pre-owned vehicles on our lot. We offer a low price guarantee, our Nationwide NO DEALER FEE on all New Mazdas. We do our best to keep our pre-owned selection stocked with a variety of quality – market priced vehicles. Our Exclusive Sport Lifetime Certified Pre-Owned Vehicles come complete with a Limited Lifetime Powertrain Warranty at no additional cost. Our Mazda Experts are well-trained and knowledgeable about the current Mazda line-up and can answer your questions during your visit. If you have any additional questions, especially with the technology that comes equipped in your Mazda, one of our technology specialists will most likely assist in answering your questions and helping you get “connected” to your Mazda. Sport Mazda was founded in 2007, but the Mealey Family has been providing Central Florida with quality automotive sales and service for well over 40 years now. Don Mealey originally moved his family to Orlando in 1974 and founded Don Mealey Chevrolet near downtown Orlando. Since then, the Mealey name has been associated with a dozen or more dealerships and automotive franchises, and has been synonymous with honest, integrity and professionalism. While Don is still involved, Jay Mealey is the “dealer” in the building at Sport Mazda and is very much involved (obsessed?) with the day to day operations of both Sport Mazda’s physical location as well as it’s internet based business footprint. Following in the path of his father, Jay is constantly looking for ways to better interact with Sport’s valued customers and recognize the true importance that each and every client interaction brings to the business. Jay like’s to state that he “gets it” and that the impact of the internet auto buying revolution is both significant and exciting. “Customers don’t necessarily need us anymore, we need them. Our most important job is to assist them as they use the latest technology to shop for their new or pre-owned vehicle, don’t get in the way, and PROVIDE a valuable service! 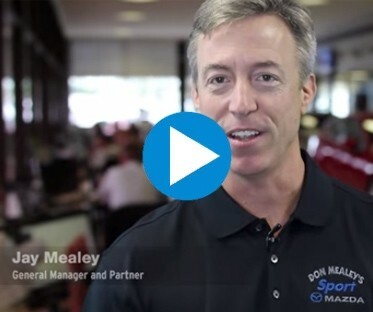 “Be the EXPERT, DON’T be a salesman!” Jay constantly challenges his 50 plus employees working at Sport Mazda to “get it” with him and provide exceptional service in step with today’s customer’s needs. Jay has been in the business for most of his life and, more specifically has been running car dealerships for his father since 1999. When not working, he is enjoying spending time with his wife, Anne, and his two teenage boys, Parker and Shaun. He enjoys tennis, golf, water sports and playing lead electric guitar for 1st Presbyterian Church Downtown on occasional weekends. The Mealey family is very active in the Orlando community and donates to local charities and organizations, and by working with other local businesses on a daily basis. Jay’s wife, Anne, owns and operates two very well respected local animal hospitals and is also a practicing veterinarian. Jay’s office is in the store and he can be found greeting customers during the day to ensure they are having a positive experience here at Sport Mazda. You can see for yourself what people are saying about us. Sport Mazda has an online reputation that is hard to match. As a 5 star Dealer with over 5,000 positive online customer reviews, we are the clear choice when it comes to your next vehicle purchase. 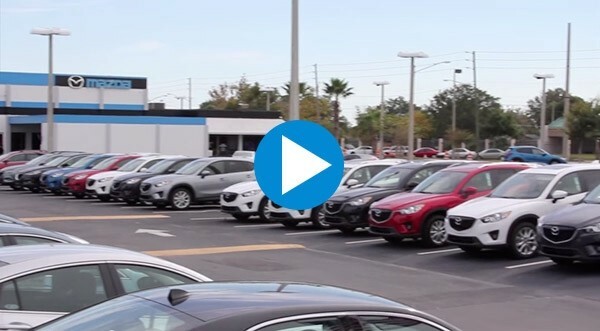 Being the DealerRater.com’s Florida Mazda Dealer of the Year from 2012 to 2018, and US Mazda Dealer of the Year in 2016, 2017, and 2018, allows us to accurately promote the store as “the best Rated Mazda dealer in the United States” but we know we will never have accomplished our goal here and there is no finish line when it comes to providing exceptional customer service. Many other dealerships will only be concerned about selling a car, at Sport we want you to leave knowing not only that you got a great deal, but that we will take good care of you and your car for the entire life of your vehicle. Here at Sport, we strongly believe that buying a new car doesn’t need to be a long, intense experience. We also think that the online price of a vehicle is only one of many factors to consider. Our Mazda Experts are here to answer any and all questions you may have, before, during and after you purchase a new car. We would like for you to leave Sport Mazda not only confident in your new vehicle, but also, knowing that you were treated like a valued part of the Sport Mazda family. Sport Mazda is much more than just another car dealership, our service department services all makes and models, and is staffed with knowledgeable and very personable service consultants who will provide you with all the information you need to maintain your vehicle. Our service team is made up of factory-trained, ASE-certified technicians, who you can trust with your car. And contrary to what many believe, our prices and services offered are priced fairly and many times below the “independent” providers in our area. We offer courtesy Mazda loaner vehicles for those service visits requiring you to leave your favorite Mazda, but please always check with your service consultant prior to your scheduled appointment to confirm availability. Those choosing to wait on their vehicle will benefit from our complimentary wireless internet, iPad tablets, snacks, and free Starbucks coffee brewed on demand that combine with our comfortable customer waiting area to help ensure your stay with us is a pleasant one. Our Mazda parts department can help you customize your car with OEM accessories to make it exactly what you would like, or they can help you order any part you might need along the way for your car. We also offer a wide range of tires at quality prices, so give us a call if you ever need a new set! What can I expect when I arrive at Sport? Upon arriving at Sport Mazda, one of our friendly, non-commissioned Mazda Experts will greet you and check your VIP appointment status. If you have a VIP appointment, CONGRATULATIONS, you have a fast pass for your sales experience! Plus, there is a great chance the vehicle you inquired about will be parked in front, gassed up, detailed, keys ready, and waiting just for you. We understand that every customer has different needs and could be at any phase of their shopping experience. For this reason, one of the first questions you will be asked is “what would you like to accomplish during your visit today?” Our team members are trained to assist you wherever you may be in your vehicle shopping process. PS. I can be reached via email at jaymealey@gmail.com or my cell at 321-436-3620 if you have any questions or feedback about your in- store visit. As the #1 rated Mazda store in the country (DealerRater’s U.S. Mazda Dealer of the Year 2016 – 2018), my goal is to under promise and OVER deliver. If we don’t accomplish this – I WANT TO HEAR ABOUT IT. I have an open door policy and check my email and voice mail regularly.